No one can call the Purple office a boring place to work. Everywhere you look there is a different colour, image or word which for a moment pulls you away from the ticker-tack of laptops, the hum of fierce activity, the to-do lists, and the general work churning mechanics of the place. For a visual person like me – these are welcome brain snacks for my imagination. Just as art is an instigator for connection, (I mean who doesn’t know the words to at least one Queen song? Or the moves to the Macarena?) 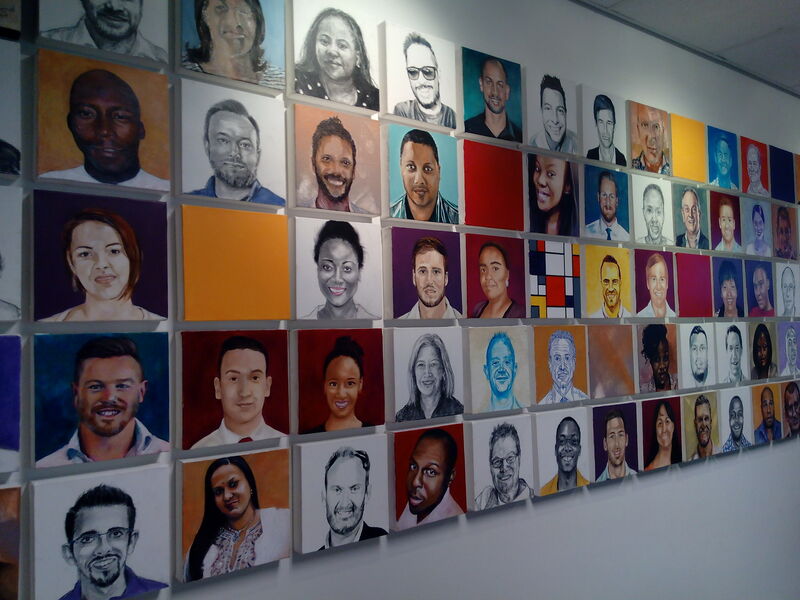 the portraits are a way for us to connect with everyone who walks through our doors. It’s a way to welcome new members to the Purple family, and an encouraging send-off memento for when they leave. It’s the kind of thing that makes you stop and go hmm, no matter who you are. For most people art and business are a bit like oil and water. It’s hard to see how they mix. But if you look a bit closer you might find the two have a lot in common. Think of launching a start-up versus coming up with the moves for a contemporary dance piece. They both begin in the same place – somewhere in your solar plexus. They are born from a gut feel or a bright idea. Art provokes and challenges; it stimulates debate and conversation; and it crosses all kinds of boundaries in a world where there are many, many divisions. There’s a lot of synergy in that for us too – we feel strongly about democratisation and breaking down barriers. 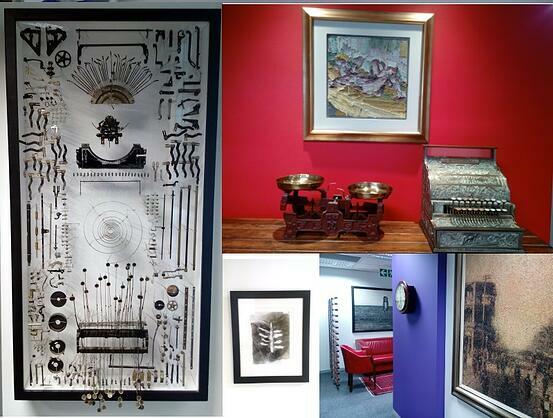 As a member of Business and Arts South Africa, engaging with arts and artists is important to us on so many levels. It’s about incorporating art in our spaces, in our thinking and in our culture but it’s also about supporting the only thing that really moves society forward (no matter the economical or political climate) and the only thing that ever has.